There seems to be so much to blog about at the moment that hopefully we'll get plenty of short snappy blogs out in the coming week/weeks. Today our first volunteers arrived, after earlier disappointments and we grow closer to being ready for opening on Tuesday. 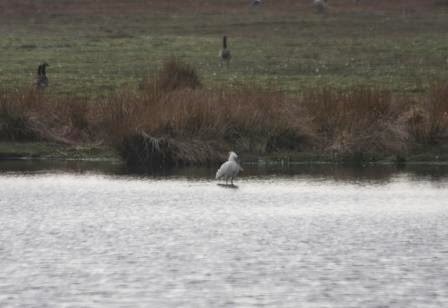 Well the spring moves on and the island will soon be opening up to visitors. After the stormy winter we have some work to do to have the place ready for this spring influx. 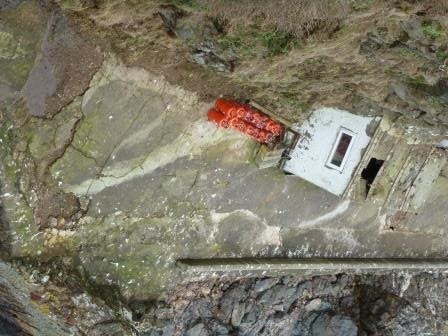 The overnight accommodation needed cleaning and some paint work, the solar system needs care, footpaths need maintenance and the steps at the landing and the sales point need some repair. 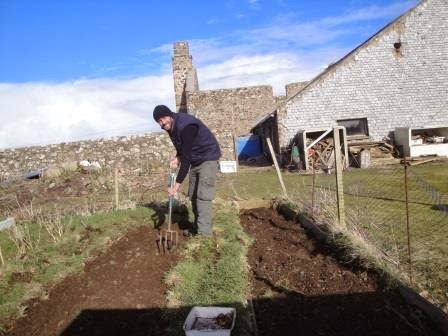 As well as these visitor based maintenance tasks we have our own veg patches to tend to and living quarters to make liveable. Our new Visitor Officer, Andy Bramwell, is on the mainland, extremely frustrated by the weather, and awaiting a gap in the weather to get out here and help us in the last few days of March get things ready for April the 1st and the grand opening. 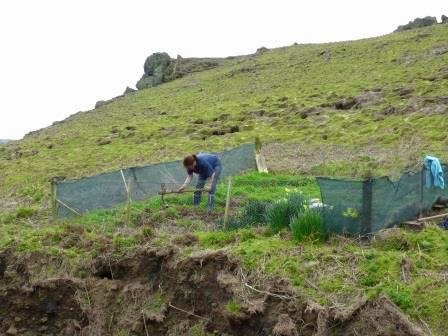 April will also see our Field Worker in 2014, Alistair Wilson and two Long Term Volunteers, Elisa Miquel Riera and Sophia Jackson, joining us. 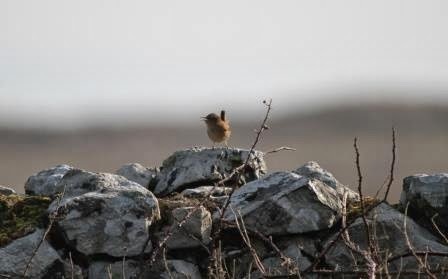 A quick up date and taste of the activities of our breeding birds: Wrens are singing from almost all over the island, including stone walls inland and coastal cliffs. 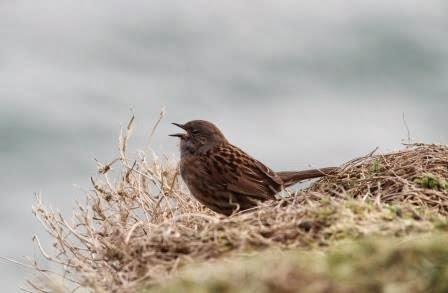 Dunnocks are also widespread and have started advertising their presence. 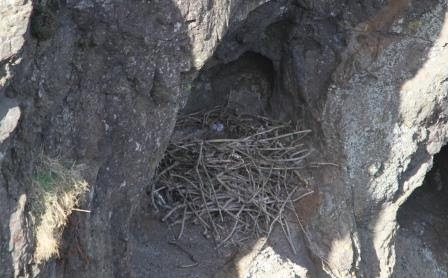 Ravens are well under way with their breeding cycles and Choughs have finally started nest building. 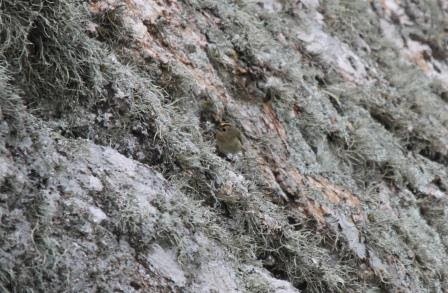 The first sighting of a bird with nesting material was on the 22nd. 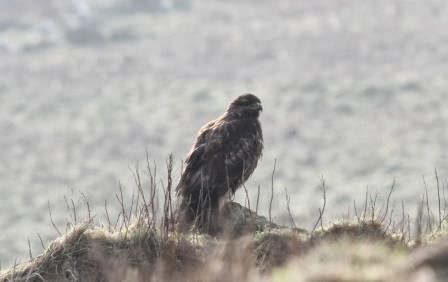 Buzzards and Peregrines are preparing to begin nesting and hopefully April will see plenty of activity. 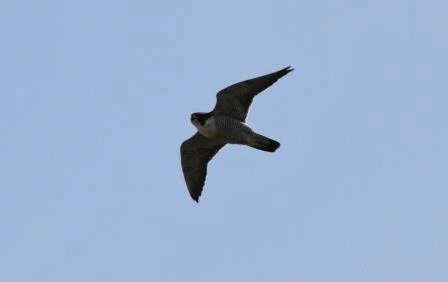 There is a national Peregrine survey taking place in 2014 and we will be surveying sites on Skomer throughout the season. 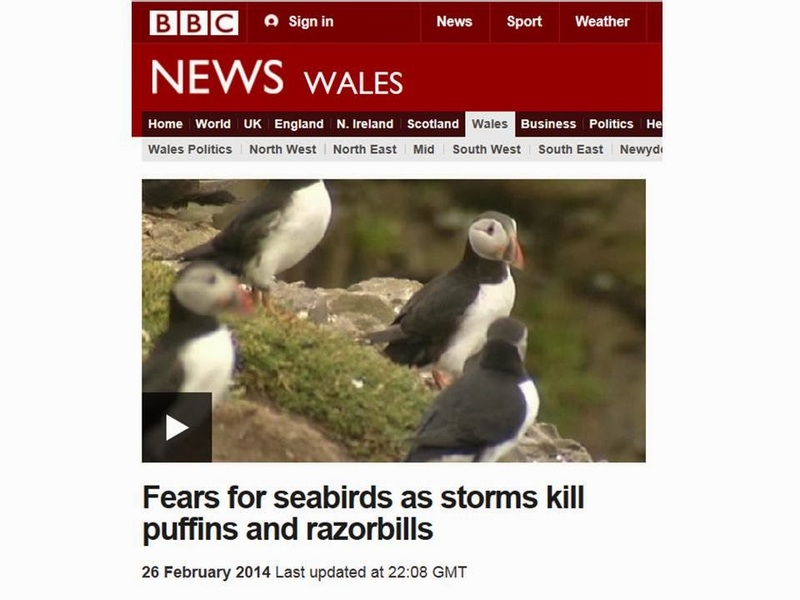 Our breeding seabirds were in the news over the new year after a big wreck of birds in France, Spain and Britain. See our blog posts from February New threats, More news and Interesting posts. 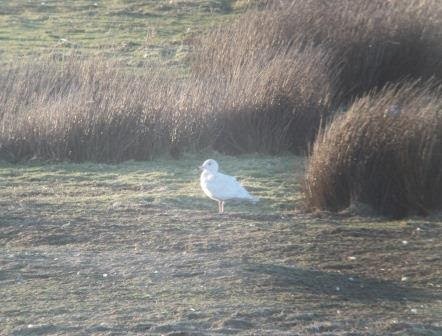 We eagerly await their return and will be monitoring the breeding 2014 season with interest. 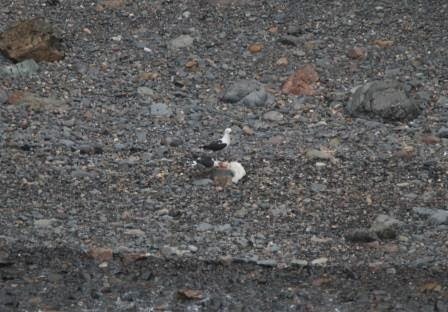 Guillemots and Razorbills have been seen on and around the island since our return in the first week of March but on and off and they have been absent in the last few days. 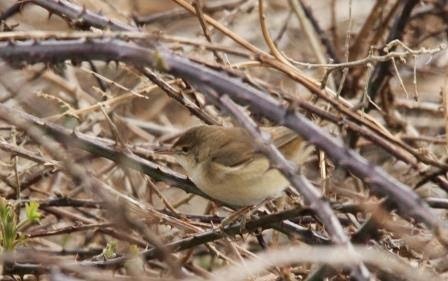 This is normal for this time of year and it isn't until April that they truly return to the island. 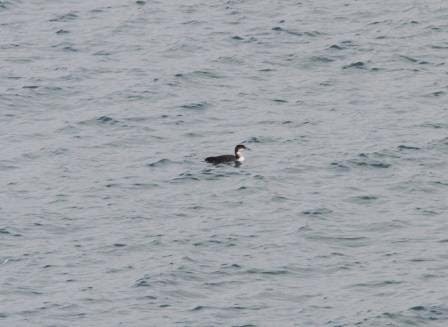 The first Puffin was seen on the 18th (9 days later than 2013) and the first Manx Shearwater was heard on the 19th (15 days later than 2013). 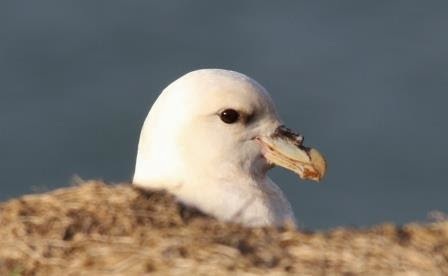 Fulmars and Kittiwakes have been present since our return. 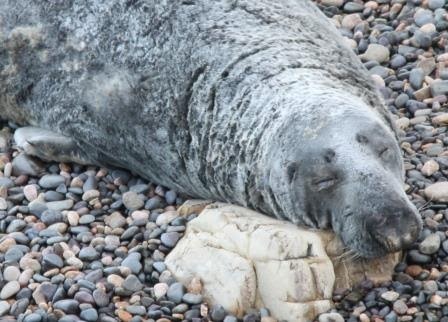 Our beloved seal population also has it's own dramas. 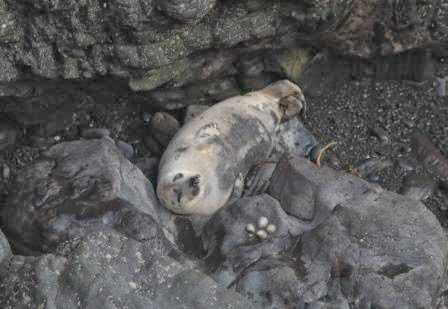 An extremely late pup was born on Driftwood Bay on the 16th but unfortunately died and became food for Great Black-backed Gulls. 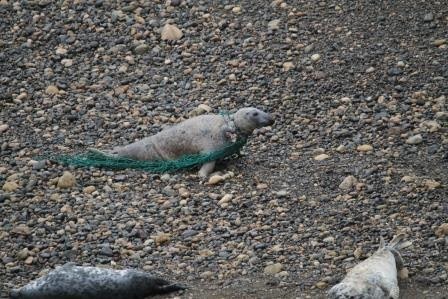 We also noticed this older seal with a large amount of fishing net around it's neck and signs of injury. We don't want to depress people but we also want to raise awareness of the realities of life for our native wildlife and the issues that humans pose. 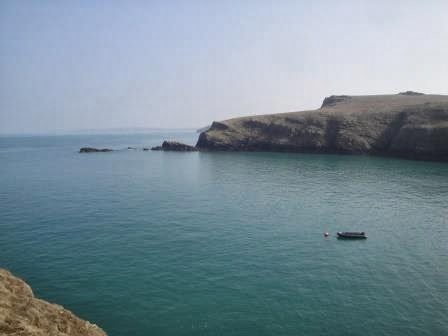 More updates from a very busy Skomer Island soon. 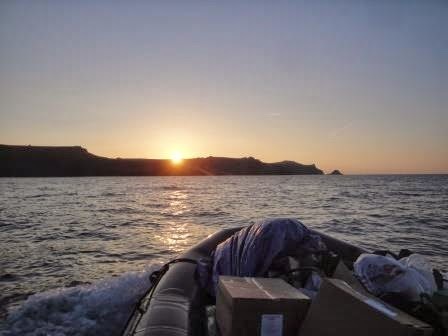 After days without internet access we can at last update you on our return to the island. 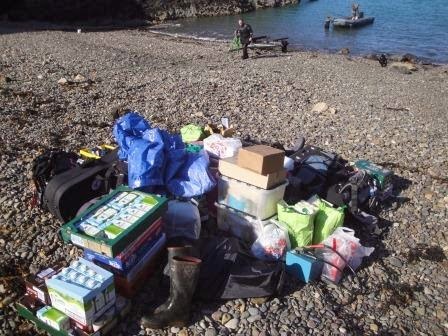 Continuing on from Jason's blog on the morning of our move, we loaded our worldly possessions on to the beach and were helped by Mark and Kate from the Skomer Marine Nature Reserve (MNR) to launch our boat and load it with our stuff. This didn't go without issue, after a few false starts we limped over to the island twice, only to pull our boat back out of the water for further repairs. 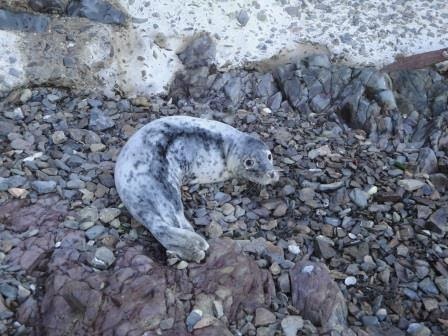 Our return was greeted by a Grey Seal weaner that refused to move and possibly shows signs of lung worm. 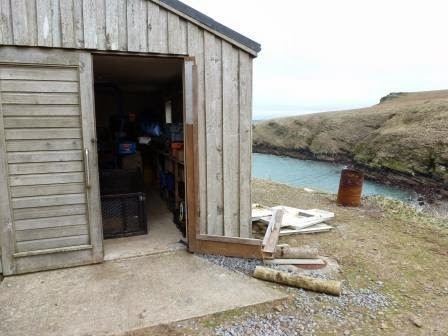 We were also shocked to see gaping holes in our boat slip and shed. Our very first sight of the main buildings revealed a missing garage door at North Haven which shows the incredible force of the storms that raged during the winter. Incidentally the buildings at the Farm received no damage at all. 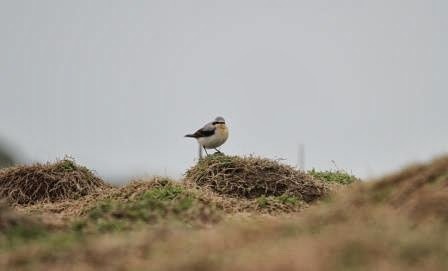 A few good birds have been spotted over our first few days, mostly winter visitors like three Great Northern Divers, a juvenile Hen Harrier and Glaucous Gull, but also a few summer visitors like Wheatears, Chiffchaffs and a wandering Spoonbill. 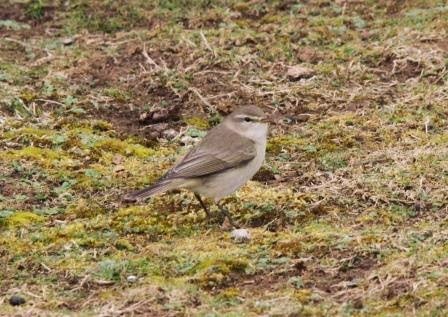 Bee spotted the first Wheatear on the 14th. 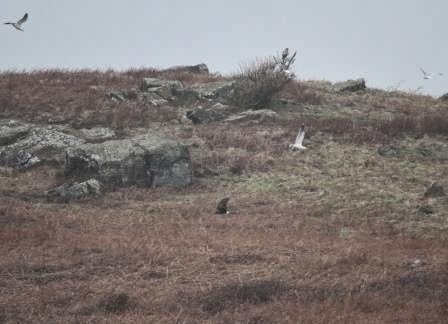 A Red Kite was also spotted on the 14th. Well today's the day, we're finally moving out to the island. A little later than we would have liked, but today the sea's are perfect for travel (light Beaufort 3 winds from the E/NE) and we're raring to go! We're all eager to see what state the island is in after an Autumn of severe Atlantic gales, and are expecting there to be considerable clear up and repair work needed to be done on the various island buildings over the next few weeks, but we're primed and ready for whatever we're presented with - this is an island exposed to the full force of North Atlantic weather after all, so nothing will come as a surprise! Regular visitors to Skomer might know Professor Tim Birkhead who has been studying Guillemots on Skomer for over 40 years. 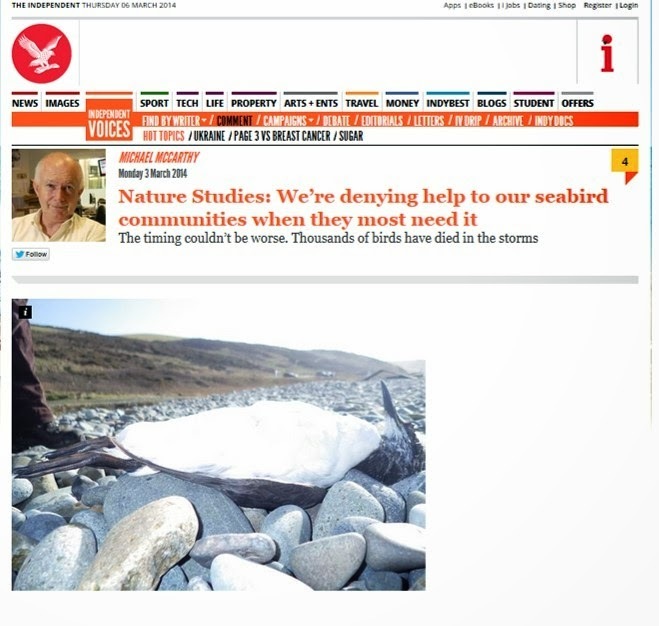 If you are interested in what he thinks about these terrible seabird wreck have a look at his blog and at this newspaper article in the Independent . 24,351 TOTAL – 21,567 dead, 2,784 live (live birds were taken into welfare/veterinary care). 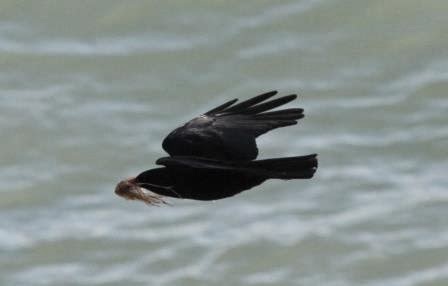 LPO report that fishermen have reported “carpets of dead birds floating at sea”. Click here for more info. 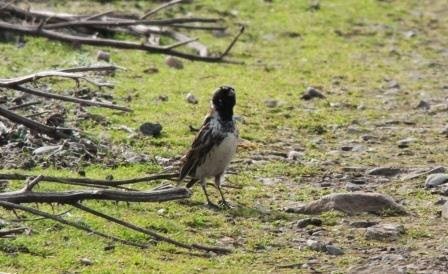 Since then more dead birds have been found in south-west England, Hampshire, Wales, Scotland, Ireland, Channel Islands and Spain. The combined total of all reported affected birds so far is more than 26,528. LPO are planning to do more counts on 1-2 and 8-9 March 2014. 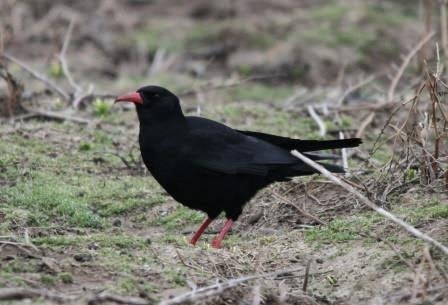 Ring recoveries from France indicate that many of the affected birds were ringed in the UK. 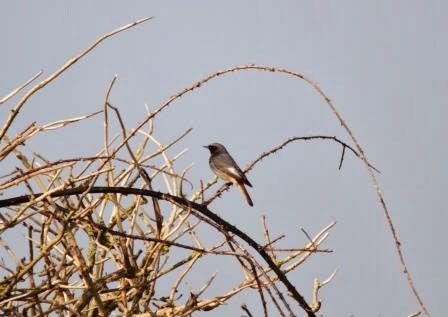 See BTO BlogSpot. 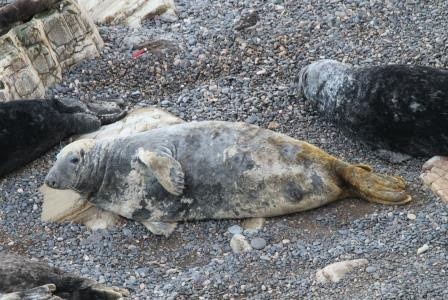 The Wildlife Trust of South and West Wales were once more on the news. On Sunday morning Jon Ironmonger's piece for BBC breakfast was broadcast. There was also a short report on BBC2 (starts 2 minutes in) and BBC4 (starts just after 3:30 minutes in).